Walking in to Hodak’s is a little disappointing. It’s nice in there and that’s not really a good thing to me. I liked it a little run down, a place some people wouldn’t give a chance because of how it looked. In 2000, the dining room was made over and while I didn’t think it was necessary, you won’t find me complaining about the addition of parking lots. Hodak’s has always been the quintessential South City restaurant and for a long time success didn’t change them. Fortunately, the success hasn’t changed the food. This isn’t food you can find in Boston. It’s the type of food you might have had as a kid in a cafeteria, a really good cafeteria. Hodak’s is famous for their fried chicken and for good reason. Their fried chicken stands out in a city that has a lot of it. This isn’t Popeye’s, Churches, or KFC. Not greasy and not dry, the chicken is meaty and full of flavor. Served with some crinkle cut French fries, you can’t go wrong. 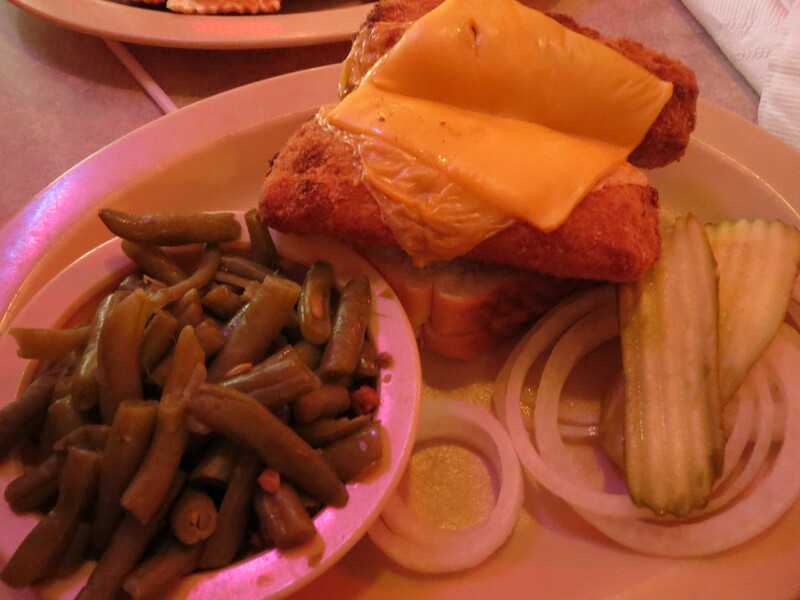 Just as good, though not as famous, is the fried fish sandwich. Ask for it with cheese and you get a square of American cheese melted on top. That’s ok my foodie friends. Just as I was once brave and ate white asparagus ice cream, be brave and try a fried fish sandwich on white bread with a square of American cheese with a side of canned green beans. Be brave because it tastes so good. I’m tempted to say you can’t find food like this anywhere. You can. It’s becoming harder to find and often it’s just really bad. 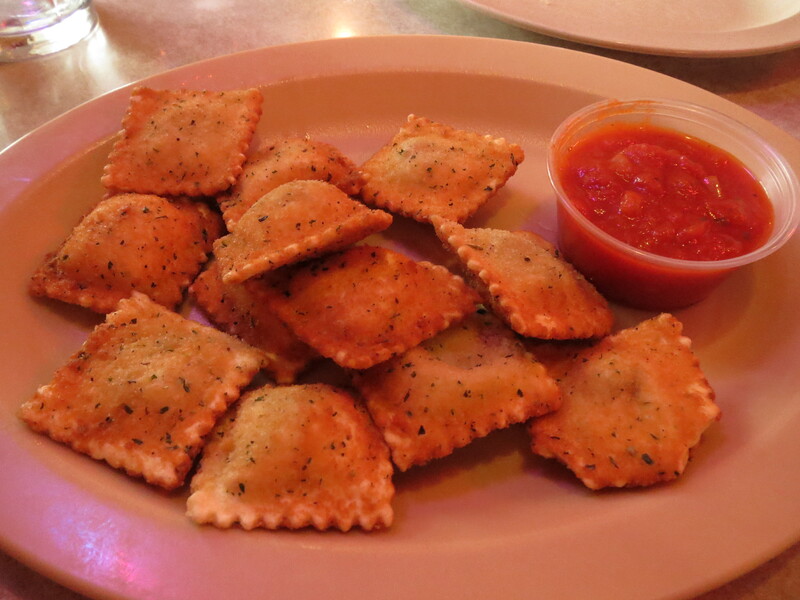 If you aren’t from St. Louis, don’t skip past the toasted ravioli. I wouldn’t go to Hodak’s just for the toasted ravioli, but it is decent. It’s not going to win any best of St. Louis awards they way its chicken does, but if it’s your only chance to try it make sure you do. Just in case you don’t know toasted ravioli is fried meat filled ravioli, dusted with parmesan cheese, preferably grated though some places are moving away from that, and served with a side of red sauce. The Hodak’s version is the standard representation and it fills the craving when I’m back in town. Hodak’s isn’t the first restaurant I go to when visiting St. Louis. After all, I have a lot of eating to do when I am there. 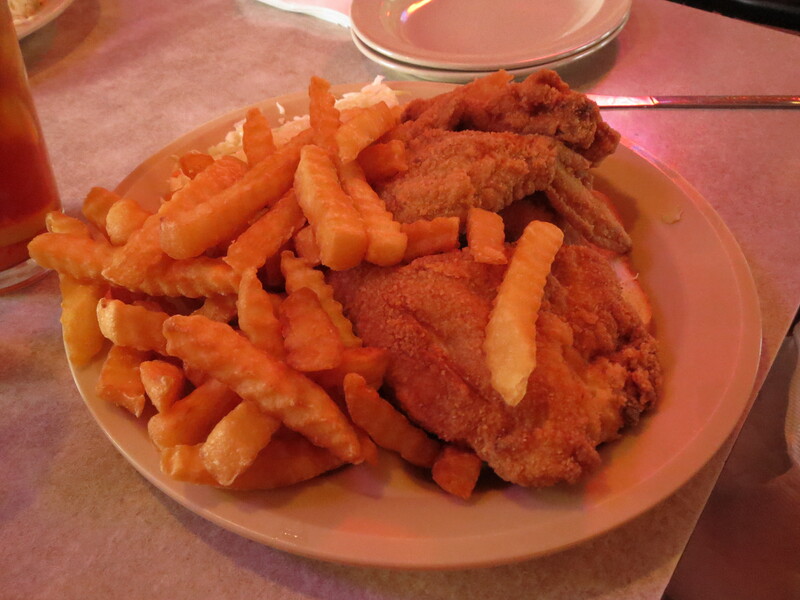 But if you are a St. Louisan who hasn’t been to Hodack’s, what are you waiting for? And if you are just visiting, it’s worth the trip. Not only is Hodak’s a St. Louis favorite, but it’s also a unique food experience. Most importantly, it’s really tasty. Lived in St. Louis my whole life and only been to Hodack’s once. I didn’t care for it too much. Maybe I should give them another try! I would try again. If you didn’t like the old, run-down look it’s been replaced. If you are looking for old fashioned food that barely exists anymore they do a good job. And I really think the chicken is as good as it claims to be. Well I am hungry just looking at this blog:) I do enjoy ravioli but had no idea you could toast it? Thanks for finding me! I think what sets it apart is the food is cheap but it’s still good!